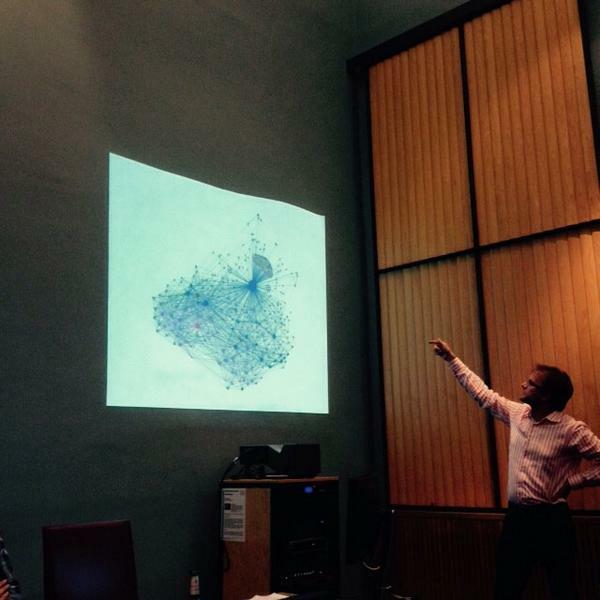 On 23 September 2014, I gave an invited presentation to a meeting of the Creative Data Club, organised by Sound and Music, the national agency for new music. Also speaking were Chris Unitt from One Further, presenting a study on how arts organisations are using Facebook, Jay Short from inition, showcasing 3D-printed visualisations of social media data, Dan Simpson, talking about his crowdsourcing of poetic composition, and shardcore, telling the hilarious and poignant tale of Alex the twitterbot. Here are the slides, plus a few audience responses and livetweets at the end. The text is based on the same handwritten notes that I extemporised from on the day.